Home / Owing apartments in Austria: specifics and legal aspects. Part II. 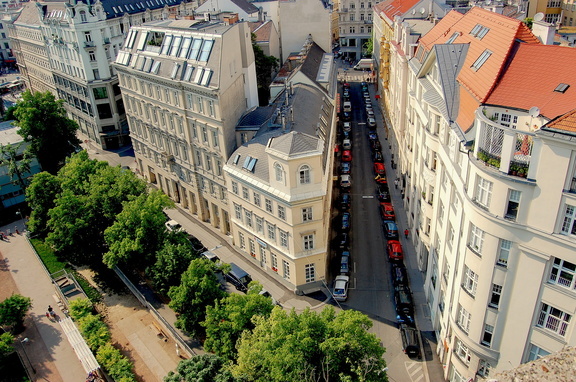 Owing apartments in Austria: specifics and legal aspects. Part II. In this article we will continue looking at basics of Austrian law in regards to apartments ownership. Austrian laws, like those in Germany and Switzerland, offer a high degree of protection rights for minority owners. This ensures that no large owner can dominate others or block necessary repair works. The law implies necessary appointment of administrator for each owners association. He has wide range of responsibilities to maintain the property. 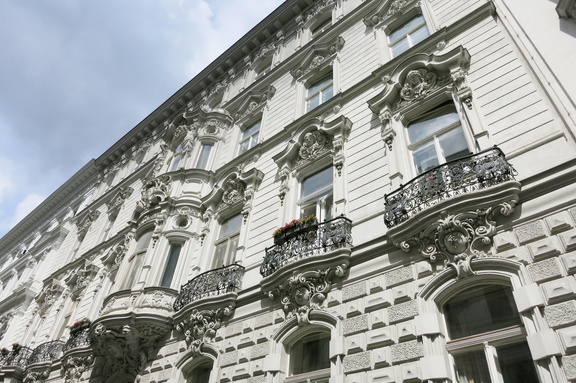 In our previous article “Owing apartments in Austria: specifics and legal aspects” we looked at basic moments of Austrian law in regards to apartments ownership. In this article we will review additional ones. Austrian laws, like those in Germany and Switzerland, offer a high degree of protection rights for minority owners. This ensures that no large owner can dominate others or block necessary repair works. Minority owner protection is especially important in the case of smaller estates, where only two or three parties hold all ownership rights. The minority protection rights are set in various paragraphs of the WEG; it is not possible to change or suspend them through a usage agreement or similar (WEG §24.7). Every owner has the right to challenge a majority decision of the owners assembly in court, within a one-month deadline, if he thinks this decision was made in an erroneous, illegal or otherwise incorrect manner (WEG §24.6). Major upgrades of the building (so-called "luxury renovation") cannot be done against the will of a minority owner, if the costs of the works will be higher than the amount of the maintenance repair fund (WEG §29). However, the majority owners are free to assume the cost share of the minority owner, so a minority owner cannot block such an upgrade haphazardly (WEG §29.3). A minority owner has not only veto rights, but also powerful rights to request actions, especially necessary repair works (WEG §30). In particular, a minority owner can demand that regular repair and maintenance works on the building and its infrastructure must be done in a timely and orderly manner, and serious damages to the building structure must be repaired as soon as possible. If the owners association cannot agree on the necessary work in reasonable time, because the majority of owners blocks it, the minority owner can request a court action on this, and Austrian courts normally grant such a court order very quickly. Let’s look at a real example: A nice chalet in the Austrian Alps in beautiful location has been owned by two parties, and the previous owners didn't care a lot about maintenance and didn't accumulate the maintenance repair fund, as it would be required by law. There are already damages on the roof and some walls of the building. The minority share of the chalet is now bought by an investor for touristic lease. Of course, the investor wants that the property is in good shape, and requests to repair the building and to build up the maintenance repair fund for future times. If the majority owner doesn't agree on this demand, the investor can request a court order against the majority owner (WEG §30.1). Should the majority owner even ignore this court order, the court will designate a temporary custodian ("vorläufiger Verwalter", WEG §23), normally a lawyer or a property management firm. This custodian will then organize the necessary repair works and collect the due share of the costs from the majority owner. If the majority owner has no money to pay for his share of the costs, he either must obtain a bank mortgage on his property, or, in the last consequence, he can be forced to sell his property (WEG §27). In practice, such draconian measures are applied very seldom. In Austria and Switzerland, disputes among apartment owners are mostly settled amicably. But this example shows the strength of the WEG, when it comes to protect your investments into flat property in Central Europe. As we have learned before, the owners association is a legal entity of its own, with its own rights and duties, its own bookkeeping, its own assets and liabilities. The owners association can be seen like a little company, and as such needs a person responsible for administration and management of the property. Therefore, the WEG rules that for each owners association, an administrator ("Verwalter", WEG §19) must be appointed. This administrator can be a capable and trustworthy natural person like a lawyer or a trustee, or a specialized commercial service company. In very small estates with only 2 or 3 owners, it is also common to elect one of the owners as the administrator, in order to save administrative costs. However, it should be noticed that the job of the administrator requires a lot of legal, fiscal and technical expertise and can be quite time-consuming, especially when major repair works are due. Also, the administrator should act as a mediator between the owners in cases of disputes or if there is a stalemate in the owners assembly. This duty is difficult to fulfil, if the administrator would be one of owners himself. The administrator is elected by simple majority of the owners assembly (WEG §28.1.5). If the owners assembly cannot agree on an administrator within reasonable time, a temporary custodian may be appointed by a court order. The duties and rights of the administrator are set in WEG §20 and in the management contract, which is negotiated between him and the owners association. Contracts are normally closed for a minimum duration of three years, but the owners assembly can anytime dismiss the administrator in cases of poor performance or gross neglect of duties (WEG §21.3). For his work effort, the administrator deserves an appropriate remuneration, which is paid monthly by every owner. The amount of this remuneration is set in the management contract, and is generally calculated in the range of 3-4% of the theoretical net rental income of the flat, if it would be under residential (not touristic!) leasing. In practice, you can expect between 50 and 80 EUR per month for the management fees of an investment-grade 100-m²-apartment in an Austrian ski resort. Establish a budget plan for the next fiscal year of the owners association containing all planned and foreseeable expenditures for repair, maintenance and operating of the building and its infrastructure (WEG §20.2). Provide a heat cost billing, according to Austrian laws, for heating and warm water and calculate the correct cost shares for the individual apartments (WEG §20.3). This is an important point, as energy costs in Central Europe are considerably higher than in the USA or in Russia, and the alpine climate can make temporary heating necessary even during the summertime. Administrate the bank account of the owners association and make all necessary payments for communal fees and taxes (e.g. garbage collection, winter service, real estate tax, fire insurance) in due time (WEG §20.6). Collect the monthly payments for operating costs and for the maintenance repair fund from the individual owners and take appropriate actions, should an owner be in arrears (WEG §20.5). Perform a professional bookkeeping on all expenses and earnings of the owners association and publish the results of this bookkeeping every fiscal year to each individual owner (WEG §34). Organize and moderate the periodic meetings of the owners assembly and produce a written protocol of its proceedings (WEG §25.3). It should be noticed that the duties of the administrator are purely administrative by their nature. The administrator is not a janitor; he's not responsible for fixing a broken light at the staircase or cutting trees in the garden. Large estates in Central Europe employ their own janitors for these services as a full-time or part-time job, and in smaller estates this job is normally commissioned to a caretaker service company ("Hausmeisterservice"). An experienced and professionally working administrator can be of great advantage to the owners association, as he will guarantee the long-term maintenance of the building and relieve the owners from the burdens of day-to-day operation of the estate. For practical reasons, the administrator should be a person or local company residing in the same region where the property is situated. Benesteem company, for instance, helps the investor with finding the right service company, when it consults clients on real-estate investments in Europe. Also, Benesteem represents the interests of the investor in the owners assembly, checks the works of the administrator and performs all necessary paper works in local language, if the property stays under an asset management contract with us after the investment. Proper maintenance of the building and its infrastructure should be in the utmost interest of every professional real-estate investor. Damages must be repaired as soon as possible, not only because of technical reasons, but also to prevent economic losses for the investor. Central European tenancy laws give the tenants of an apartment a strong juridical position in case of flaws or defects, both for residential and touristic leases. Especially for touristic leases, tenants can quickly demand for compensations, if, for instance, the lift is broken, the heating is not sufficient or the wellness area is not working as advertised. Planning, organising, and supervising all necessary repair and maintenance works for the building, its infrastructure and on its land is one of the main duties of the administrator. He must inspect the estate on a regular basis, and every owner should notify the administrator immediately about damages in the building (WEG §30.3). As a flat owner, you are obliged to keep your apartment in good shape, that means you must maintain it in such a way that there will be no damage or impairment to other apartments or the building itself (WEG §16.3). A common source of discussion is the question whether and when to renovate the windows. By prevailing case-law, the windows of an apartment are considered as an indispensable part of the building structure (5 Ob 43/95, 5 Ob 301/01b), and as such, repairs and renovations must be organized by the administrator and paid by the owners association as a whole. This is in stark contrast to the situation in Russia, where the windows are in the responsibility of the individual apartment owners, which can lead quickly to a deteriorating condition of the estate and to an unpleasant appearance of the building. The windows are in so bad condition that a repair is impossible or at least economically not feasible. In this case, the administrator or the simple majority of owners must decide to renovate the windows. If they don't do this, any single owner can request the renovation on the argument that structural elements of the building are damaged or impaired (see our chapter on minority owner protection). To decide whether repair is impossible or not, an expertise of a state-approved surveyor should be used. The windows are still working and in an acceptable condition, but an upgrade for better thermal and/or sound insulation would make sense. Here, a majority of owners must decide on this; the administrator alone cannot decide, as this renovation is not absolutely necessary. Minority owners must accept this decision, because the upgrade to better insulation will benefit all apartment owners (WEG §29.1), as long as the costs of the renovation are not exaggerated in relation to the property value itself. However, a minority owner cannot force the majority to do such a renovation. 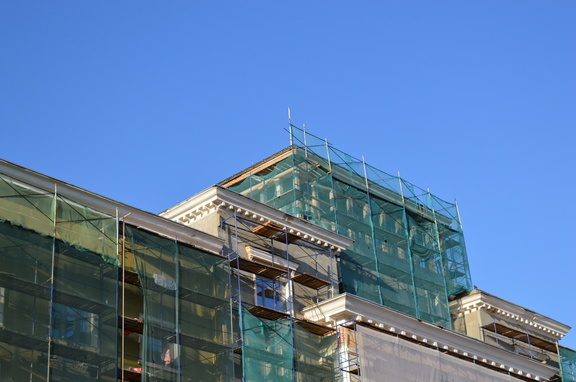 If a minority owner wants to renovate the windows of his flat without a majority approval, he must bear the costs himself and should in any case contact the administrator before commissioning any works. The windows are ok and state-of-the-art in terms of insulation, but the owners want a renovation simply for aesthetical reasons (more beautiful colour, more noble look of the building front etc.). In this case, all owners must approve this decision by unanimity. If something is absolutely necessary for the building and its infrastructure, the administrator must organize the repair, and any single owner can request that this will be done. If something is meaningful, but not imperative, the majority of owners must approve this. Any opponent minority owner has to accept this decision. If something is simply cosmetic or a luxury upgrade, all owners must agree on this (unanimity). A noteworthy exception exists, if the majority is in the hands of a single person (or a single family): in this case, the minority owner can apply for a court order against the majority owner, if the decision or the blockade of the majority owner would mean a severe economic disadvantage for the minority owner (WEG §30.2). Example: A two-flat estate has only outdated electric heating on the two floors, and additionally a traditional tile stove in the ground floor. The minority owner of the upper-floor flat demands that an energy-efficient, environment-friendly central heating system will be installed, but the majority owner of the ground floor flat is happy with the current situation and rejects this demand because of cost reasons. In this situation, the minority owner could cite WEG §30.2 and has a reasonable chance of winning a court order to his favour. All necessary maintenance costs and foreseeable repairs should be paid from the fund and the monthly payments for operating costs, which every owner must make. Major improvements, which go beyond the scope of the repair fund, should be planned with a lead time of at least one year, in order to give the owners time to prepare for the expected extra payments (WEG §20.2). To protect against the unforeseeable costs of disasters or natural catastrophes like fire, storm, flood water, avalanches (a real danger in some alpine regions) etc., the administrator must take out an insurance policy against these risks on behalf of the owners association (WEG §28.1.4). In case of a disaster event, the insurance company will pay the costs for repair, renovation or even reconstruction of the damaged property. It should be noticed that this insurance covers only damages of the building and its infrastructure, not costs for damages or losses of furniture, special installations or personal belongings inside the apartments. It lays in the responsibility of each owner to contract an appropriate insurance against theft, fire and disasters for the valuables inside his apartment. Fortunately, such an insurance cover is not expensive in Central Europe. The Central European concept of flat property, where every apartment owner is always and automatically also co-owner of the building, its infrastructure and the land, lays the foundation for good, continuous long-term maintenance. Strong minority rights protect, as we have seen earlier, the interests of each single owner and prevent a possible blockade of necessary repair works by a reluctant majority. If a real-estate investor buys a carefully selected, professionally managed, investment-grade flat property in Austria, Germany or Switzerland, he can rest assured that the estate will not deteriorate and be in perfect condition even 100 years later.